Selena Gomez has been showered with support from fellow celebs after revealing that she received a kidney transplant over the summer, and on Friday, September 15, she stepped out in New York City in looking healthy. Gomez, 25, wore a pale blue and white dress, white sneakers and thick gold hoops. 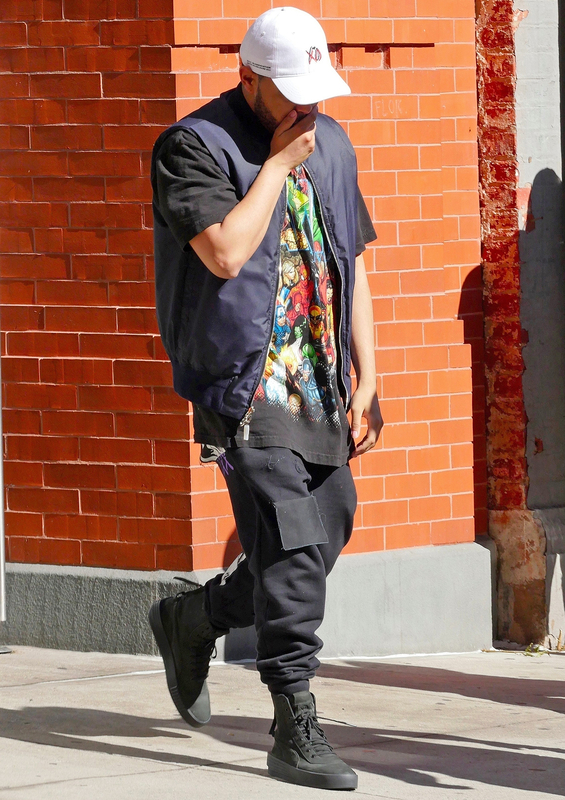 Her significant other, The Weeknd, real name Abel Tesfaye, was spotted leaving her apartment shortly afterwards. As previously reported, the “Fetish” singer opened up about receiving a kidney from her best friend, actress Francia Raisa, with an emotional Instagram post on Thursday, September 14, that featured the two in side-by-side hospital beds while holding hands. “I’m very aware some of my fans had noticed I was laying low for part of the summer and questioning why I wasn’t promoting my new music, which I was extremely proud of. So I found out I needed to get a kidney transplant due to my Lupus and was recovering. It was what I needed to do for my overall health,” she wrote. Raisa, 29, has been a longtime friend of Gomez’s and is best known for playing Adrian on The Secret Life of the American Teenager. The 13 Reasons Why executive producer has received messages of support from celebs including fellow singers Kesha and Lady Gaga, who is also dealing with her own health issues related to fibromyalgia. Gaga — who was recently hospitalized in Brazil — also offered her own form of support by tweeting, “Prayers & love to @selenagomez you are a warrior princess. What an inspiration” with a praying emoji. As Us reported, Gomez and The Weeknd kissed each other sweetly on the red carpet and caught a viewing of IT just days before Gomez’s health confession.